We provide Repair, Towing, and Storage Service for motorcycles of all shapes and sizes! 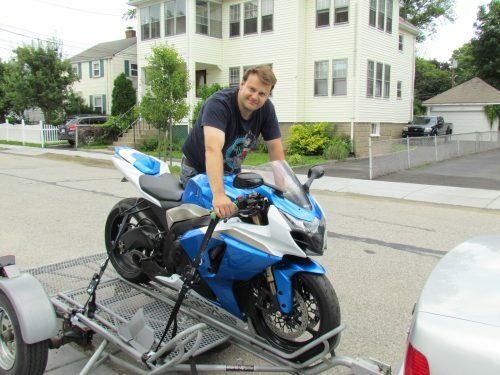 Serving primarily the Greater Boston Area, we transport with a specialized motorcycle trailer, designed for secure and safe towing of motorcycles and scooters up to 1500 lbs. Call today or use our online tool to reserve a slot for repair pick-up, bike towing or scooter rentals.